NFL Hall of Fame player Bart Starr has reportedly turned to stem cells for hope after having a series of strokes in 2014. The Starr family made a statement that Bart, now 81 years old, was accepted into a clinical trial using stem cells. This seems similar to the stem cell path that the family of hockey legend Gordie Howe took following his strokes last year. Gordie just got a second treatment this year apparently. You can read about Howe’s treatment and that complicated situation in a number of articles here. Although no further details were noted on Starr’s treatment, it seems likely that the Starr family have connected with the controversial (e.g. see critical pieces by Science-Based Medicine here) stem cell company Stemedica, which gave Howe non-FDA approved stem cell interventions in Mexico through its partner Novastem. Why do I think that is likely? In a recent news article on the Stemedica-Howe case, it was noted that the Starr family had contacted Stemedica too. Assuming he received the same Stemedica/Novastem therapy as Howe, Starr would have gotten infusions of both adult stem cells and fetal stem cells. Note that it is also possible that Starr did not receive treatment from Stemedica and Novastem, but rather in another clinical trial from some other entity. If I learn more, I will post updates. This seems to muddy the waters and add to confusion by being vague. In my opinion, fetal stem cells are not adult stem cells. I realize that some may disagree with that. The main overall point is to use precision in talking about these therapies. I would also say that I am not necessarily opposed to the use of fetal stem cells in certain situations if there is concrete data indicating promising safety and efficacy profiles. Notably, Howe received his stem cell treatment from Stemedica for free, which raises the question of whether Starr did as well. Even though I have philosophical differences with Stemedica and Novastem, I understand and am sympathetic to patients and their families. They are looking for hope, especially with severe conditions like strokes. I wish Bart and the Starr family all the best. “Following Bart’s strokes, our family began to investigate numerous therapy options. Several months ago we applied for and were accepted into a clinical trial using stem cells. Friday we safely returned home from the first of the two treatments. “While we welcome everyone’s interest and support of Bart’s health, at this time, we’d like to allow him a chance to fully participate in the clinical trial and let the results, if any, to speak for themselves. At an appropriate time in the future, our family looks forward to sharing the details of Bart’s participation in this most important clinical exploration of what role stem cells may play in the treatment of stroke. One of my concerns about fetal cells is that they are expanded so much (to get a lot out of a single fetus); their characteristics – for better or worse- drift, just like any cell line. I would urge frequent animal studies to make sure the cells haven’t changed so much that they don’t work…or, worse, that they become dangerous. If Stemedica starts with a fetal cell then they should say so. And if they turn it into something else, they should say how and what. It would be a mortal sin for a mathematician to resort to obscurantism when it comes to revealing the initial condition. The most important aspect of this story, from a scientific perspective, is that getting Bart Starr the same stroke treatment as Gordie Howe will make it n=2 and both are high profile patients. Not enough to prove anything either way but this time we are hearing about the treatment BEFORE the outcome is known. While n=2 won’t prove anything either way without a placebo control,a dramatic improvement in Bart Starr’s health would have to make even the skeptics wonder if something is really working here. 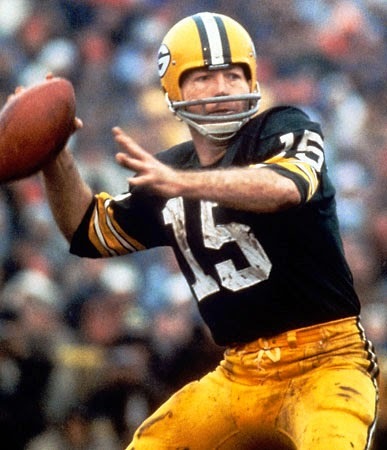 I wish Bart Starr the best. It would be great to see pre-clinical safety data on Stemedica’s fetal stem cells. That would normally be the expectation before starting to treat patients. It is in the patient’s and the stem cell community’s best interest if everyone tries to be precise and transparent about the cells being used, the purification devices, the methods, etc. Thanks for the comment, Ray. The more data the better. We’d also need to compare how patients treated in this way do clinically compared to patients getting a placebo or no treatment at all. Best wishes to Bart Starr, hope you get the same good outcome as Gordie Howe . I cannot find one religious group objecting to this even though they are the same people who have always blocked embryonic stem cell research. (I should know… that’s what I used to do.) It’s hard to believe that once a group like the Florida council of bishops figures this one out though. .. that they will not start protesting. They tried to block Florida right to try because it was hitched to a death with dignity bill. It’s going to start happening. I used to be deeply involved. .. so I know. Anise, what changed for you from then versus now?